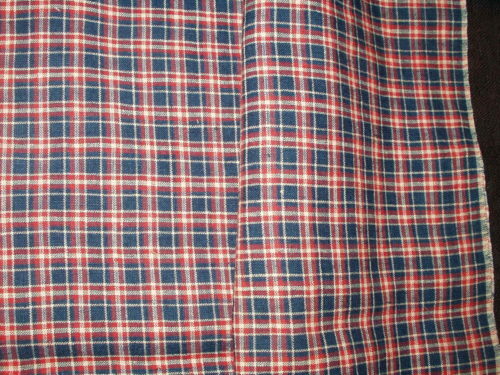 A nice old piece of early 1900’s factory homespun fabric in a red, blue and white check. The fabric is hemmed on two sides (selvage on the other two), so possibly it was used as a small cloth on a table. Regardless, a good piece of cloth with great color.